Sleek and modern hallway set from the September collection will be a perfect decoration of your entrance. The set offers many different hallway elements, making it very functional. 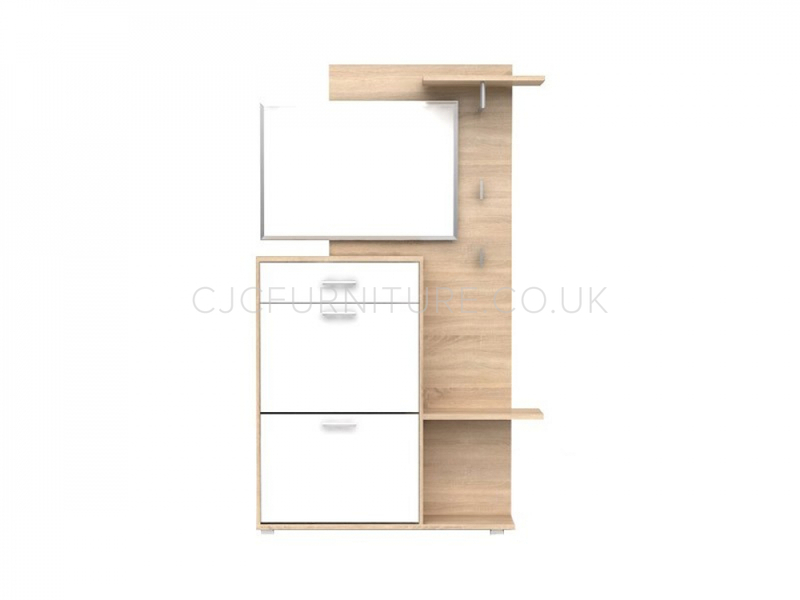 It consists of 2 shelves for scarfs, hats etc., and 2 spacious shelves for shoes behind the drop down doors, a handy drawer for small essentials, hooks, a rail and a big mirror. It is available in a mix of neutral colours with Sonoma oak base and white gloss fronts. Additionally the set has silver colour detail stressing its modern and original look.